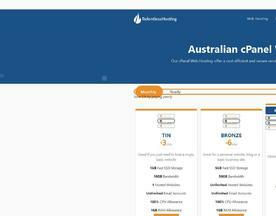 What is Personal Web Hosting? Personal Web Hosting services are usually for individuals who require a simple web hosting package. Personal web hosting services vary depending on the individuals requirements, but generally providers offer a basic web hosting service as a lot of the more technical hosting features wouldn’t be applicable to them. If you’re interested in similar online services, consider our Reseller Hosting or Cheap Web Hosting service categories.